The Russian Orthodox are the last of four local churches to withdraw from participation in the Great and Holy Council, the Pan-Orthodox Synod, set to begin tomorrow – Pentecost Sunday in their calendar. Their reason given that as consensus was adopted as the model for any and all work of the Council, and that at least one local church had withdrawn, consensus was no longer possible. As I see it, consensus to hold the Council now, under the presented procedures, and the promise to attend by each local church was achieved in March 2014 and affirmed just a few months ago, at the January 2016 Synaxis of Primates. The Churches themselves committed to hold the Council, to attend, and to participate. Therefore, now is too late to back out. Common sense would dictate that after having committed to the Council, if you back out, you lose your voice and vote, but the decisions are still binding upon you and consensus depends on those who are actually present and participating. You forfeit your right to vote, you do not get a veto, by backing out. If you want to object to some document, you have to be participating to do so. In other words, dear Bulgaria, et al., you do not have to agree, but you do have to show up. Of course, this is a moral obligation, there is no juridical, binding power that would compel otherwise. One could argue that failure to participate in a general council to which unanimous consensus compels you to attend is tantamount to excommunication – to me, non-participation in the Council seems a far more serious breach of communion that disagreements over the calendar, over jurisdiction in Bahrain, or over who can grant the Americans autocephaly. To be sure, some of the objections of the local churches are valid and should be considered. Some are nonsense. But I admire far more the Serbian Orthodox Church, who, while deeply concerned about several aspects of both process and content, are still committed to exercising synodality. You cannot claim to be a church who takes synodality seriously, over and against what you perceive as excessive papal primacy in the Catholic Church, and then fail utterly to even organize yourselves into a regular exercise of that synodality on a universal level. You go to a Council to resolve issues, to raise new ones, to practice being Church together even in disagreement. Unity cannot be achieved by putting off meeting. True, we should see this as the beginning of a lengthy process, not a stand-alone event. Vatican II was eight months of meetings spread over four years allowing generous time for research and consultation. And it had only been ninety years since the last attempt at a general council, only 400 years since the last complete council. The Orthodox have three times as much time to make up for – a real council could be expected to take a full year of meeting together. One week is nowhere near enough. But at the end of the day, it is hard to respect anyone who claims “we have not had enough time to get ready” or “let’s postpone procrastinate some more.” Seriously? 1229 years since the last general council, 115 years since the first call for this one, and 55 years since the planning commissions started meeting, even by the glacial ecclesial standards, this is absurd. A Common Date for Easter? Last month, in his address to a group of priests in Rome from around the world, Pope Francis again raised the question of the date of Easter, which Orthodox and western Christians have usually celebrated on different dates for centuries. In fact, he said that the Catholic Church was “ready to renounce” its method of calculation of the date of Easter in order to reach an agreement with the Orthodox Church, so that all Christian churches can celebrate Easter on the same day. What’s going on here? In the early church there was considerable confusion regarding the date of Easter and different areas were observing it on different days. Eventually a consensus developed that harkened back to discussions at the First Council of Nicaea in the year 325, that Easter should be celebrated on the Sunday following the first full moon after the spring equinox. This is the classical formulation that has remained in place until the present day. But as the centuries went by, things grew more complicated. Most importantly, the calculation of the date of Easter on the traditional “Julian” calendar became more and more inaccurate. Eventually there was a reform of the calendar in the West that was promulgated by Pope Gregory XIII in 1582. The reform included skipping ten days in October (October 4 was followed by October 15 that year) and the introduction of leap years. In the West this new and much more accurate “Gregorian” calendar was subsequently used to calculate the date of Easter, but the Eastern Churches continued to use the Julian calendar. Another difference in calculation is that in the East, Easter may never coincide with Jewish Passover but must come after it; in the West the two can coincide. As a result, for several centuries now the western and eastern churches have had different ways of calculating the date of Easter. Sometimes they still coincide, as they did in 2010, 2011, and 2014, and will again in 2017, but not after that until 2025. Often the two are just a week apart but can be much farther apart, as they were in 2013 (March 31 and May 5), and will be in 2016 (March 27 and May 1), and 2024 (March 31 and May 5). It should be noted, however, that the eastern and western calculations of the date of Easter are not absolutely identified with the western and eastern churches. Catholics in Greece, for example, celebrate Easter on the Orthodox calendar, and the Orthodox in Finland celebrate on the western calendar used by the majority of Christians in that country. Some Eastern Catholics also celebrate Easter on the Julian calendar. The Aleppo document recommended that all the churches reaffirm their acceptance of the formula of the Council of Nicaea, but that the astronomical data (the vernal equinox and the full moon) be re-calculated by the most accurate possible scientific means, using the meridian of Jerusalem, the place of Christ’s death and resurrection, as the basis for reckoning. The result of this re-calculation would produce a calendar different from both the eastern and western calendars as they exist today, although it would be closer to the western one. It would allow all Christians to celebrate the Resurrection together, while also being more faithful to the Council of Nicaea than any of the churches are today. The obvious advantages of this solution were spelled out in an agreed statement of the North American Orthodox-Catholic Theological Consultation in October 1998. Nevertheless, it has become clear that the Orthodox are not able to support the proposals in the Aleppo document. The reasons for this are not primarily theological but pastoral. 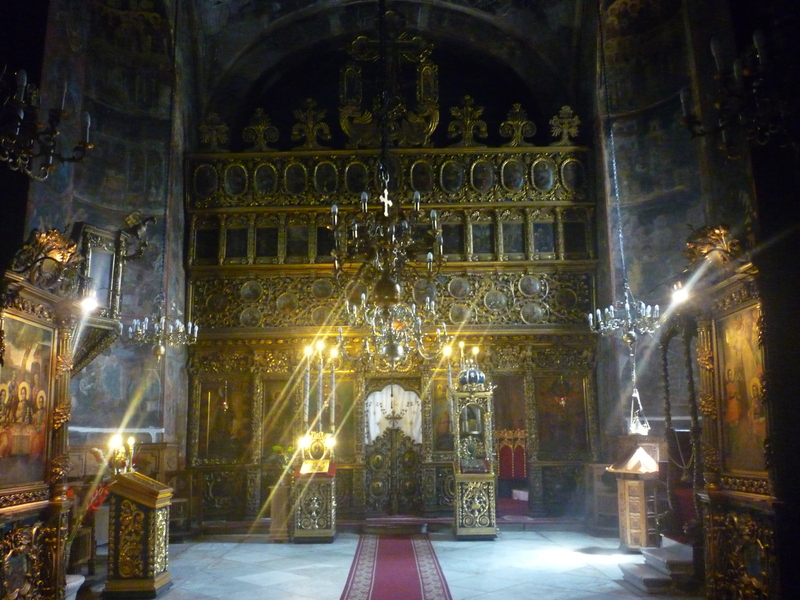 After World War I most of the Orthodox Churches (except Jerusalem, Russia, Serbia, and Mount Athos) adopted the Gregorian calendar for fixed feasts, but not for Easter and the movable feasts dependent on it. There was a strong reaction to this among the faithful with a more traditionalist outlook, which led to schisms and the foundation of several “Old Calendar” churches in Greece, Romania and Bulgaria that still exist today. Also, in Russia in the early years of communism the Soviet government supported a “Living Church” movement within the Orthodox Church that advocated the use of the Gregorian calendar. That group was eventually suppressed in 1946, but in the minds of many faithful there was now a connection between the Gregorian calendar and communism. These fairly recent schisms within Orthodoxy explain why the Orthodox are extremely reluctant to tamper with their traditional reckoning of the date of Easter. In view of this history, it is not easy to imagine an agreement on the date of Easter that all Christians would find acceptable. The Aleppo document proposed an eminently reasonable solution that the Orthodox have been unable to accept. A fixed date for Easter such as the third Sunday of April would be a departure from the tradition that few would find acceptable. It has often been observed that the only way that all Christians could agree on a date for Easter would be a universal adherence to the Orthodox calendar. This solution would have obvious disadvantages, but in the real world it may be the only one possible. Father Ronald Roberson, CSP is associate director of the Secretariat for Ecumenical and Interreligious Affairs of the U.S. Conference of Catholic Bishops. 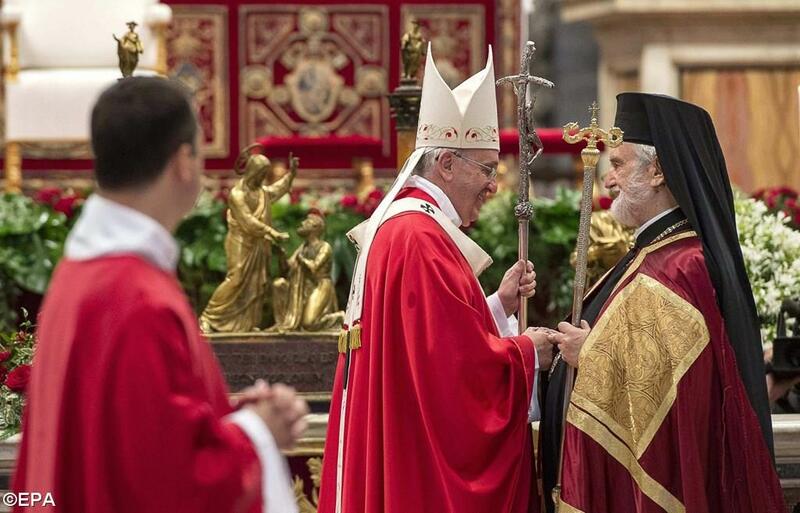 He is also a consultor to the Vatican’s Congregation for the Oriental Churches. Pope Francis has moved to allow more married Catholic priests. It is just that they are not Roman Catholic priests. This, according to a document of the Pontifical Congregation for Oriental Churches, leaked today by Sandro Magister, the well-known Italian Vaticanist of La Repubblica. Most people know that Catholic priests of the Latin Church (the Roman Catholic Church) must be celibate. The exceptions being, since the 1980’s, former Lutheran or Anglican clergy who come into full communion, who may continue their presbyteral ministry while married. Most Catholics are at least vaguely aware that this medieval discipline does not apply to most of the 22 Eastern Catholic Churches, who do in fact allow married men to become presbyters – it is only their bishops who are necessarily monastic, and therefore celibate. (Deacons are universally allowed to be either married or celibate). Fewer people are aware of the embarrassing history that has restricted these churches from either ordaining married men “outside their traditional ritual territory” or, in some cases, even sending married priests to serve in these countries. Starting with migrations of Ruthenians in 1880 to the U.S., the Latin bishops (almost entirely Irish) of the States were so scandalized by the idea of married presbyters that they convinced the Congregation for the Propagation of the Faith to restrict married clergy from following their flocks to the new world. By 1929-30, these limitations were repeated and even expanded to other “Latin territories”. This move so effectively undercut the sacramental ministry and infrastructure of the Eastern Catholic Churches in the States, that about 200,000 Catholics and their married clergy left communion with Rome, and effectively populated the Orthodox Church of America and other Orthodox jurisdictions. 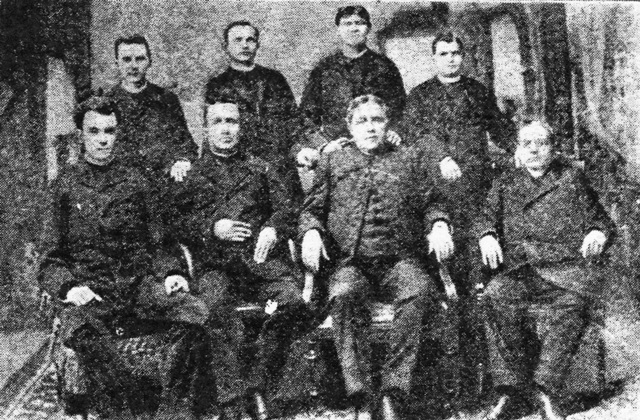 Eastern Catholic Clergy meeting, 1890. This is one of many examples of a kind of aggressive Latinization – forcing Eastern Churches to take on Latin/Roman practices – that has occurred over the centuries. The whole idea that Eastern Churches could only follow their own practices within their “traditional territory” is dubious in any case – do we say the same for the Roman Catholics? Is celibacy of diocesan clergy – a particularity of being “Roman” not of being “Catholic” – limited only to the “traditional territory” of the western Roman empire? What sense does it mean in an era when there are more Eastern Catholics outside “traditional territory” than within? What it really shows is a flawed ecclesiology and a lack of due respect to the autonomy of the diverse practices and patrimony of ancient and apostolic churches in communion with Rome. How, our Orthodox sister churches would ask, is it possible to take Rome seriously on proposals for reunion when she treats Eastern Catholic Churches so inappropriately – flexing her muscles and forcing them to follow her whims (or those of too-easily-scandalized Irish-American bishops). Rome has to show that it remembers that unity does not mean uniformity. After Vatican II, it was thought this would change. After all, the Eastern Churches were encouraged to return to their proper patrimony and cleanse themselves of any inappropriate Latin influences. Pope Paul VI took the proposal under advisement… and there it remained, sadly, until our own time. The Congregation for Oriental Churches proposed some change in 2008, but with the objection of the Congregation for the Doctrine of the Faith to reversing the ban, exceptions were allowed only on a case-by-case basis. You started to see priests ordained back in the “traditional territory” being allowed to serve in the west. Under these “exceptional” situations, it was just this year that the U.S. saw its first married Maronite priest ordained there. In 2010 the Synod on the Middle East again raised the issue. Now, finally, we have the restoration of at least this one right to rites. 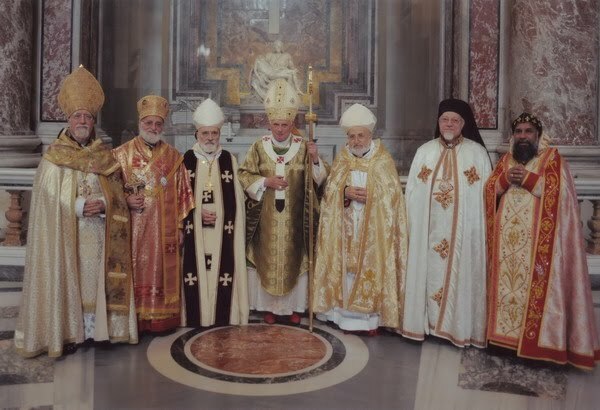 First, where there is a regular hierarchy, it is up to the competent ecclesiastical authority – the metropolitan, eparch, or exarch – to ordain according to the traditions of their churches, without restriction from the Latin church. 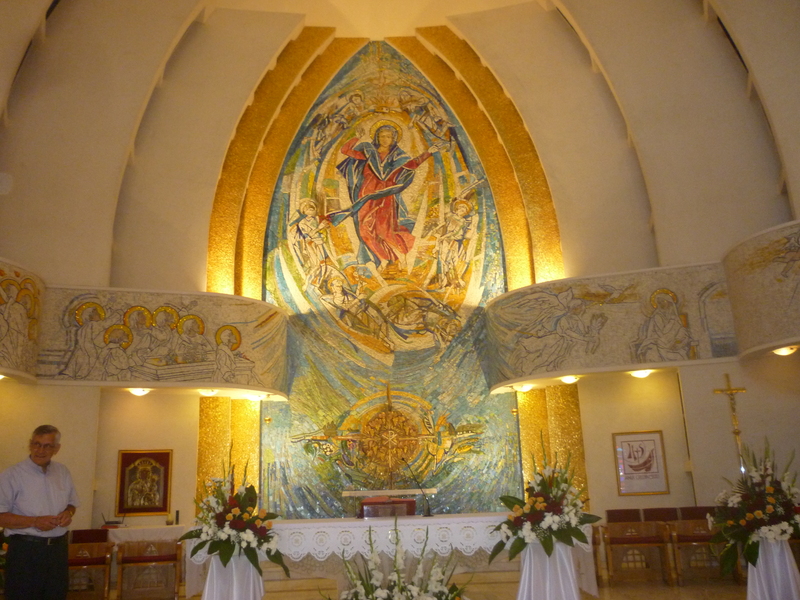 Third, where there are groups of the faithful of an Eastern Church under the pastoral care of a Latin ordinary – such as the Italo-Albanians here in Italy – it continues to be a case-by-case basis. Still, one more reform on the long list of “no-brainers” that could have been done ages ago without actually challenging either doctrine or even its articulation. It is simply the correction of an historical mistake that ought never have happened in the first place – and certainly ought not to have taken 135 years. It is this kind of thing, no matter how small, that demonstrates real “concrete progress” that the ecumenically minded – both “at home and abroad” are looking for. Providence provides again. 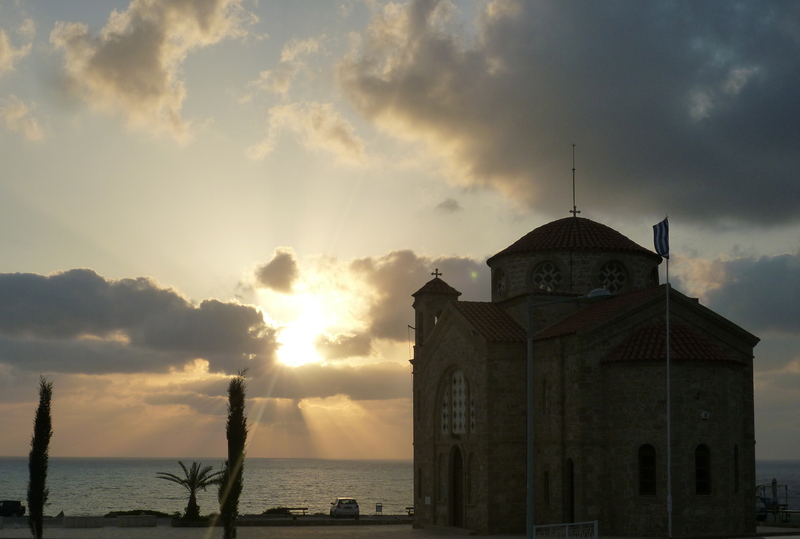 After three weeks in Cyprus, the choice of destination was determined by one and only one question: what was the cheapest flight out of Larnaca? Wherever it went, that is where my next stop would be. As it happened, the answer was Bucharest. I missed my mother’s trip to Romania by just under a week, too, but the timing worked in my favor. After having booked the tickets, a Georgian friend sent a facebook message about a ‘summer camp’ for students from central and eastern Europe interested in ecumenism and improving their English. The target age seemed to be university students in their twenties, or late teens – “youth” by the European definition. A little past the upper limit, I wrote the organizers to see if they were interested in having a native-English speaking ecumenist join them, and offer a lesson or two. The idea of spending ten days in a castle in northeastern Romania for no more than the cost of getting there was appealing, too, I admit. A few hours in Bucharest gave us time to visit the patriarchate (where we got parking only because our host told security that I was a theologian visiting from the Vatican), and a walking tour of the city. Then it was a night train to Roman. The Lingua Franca Summer Camp was organized by the European Region of the World Student Christian Federation, an organization i had somehow not encountered before. It started originally in the early nineties at the collapse of the Soviet Union as a way to promote Christian leadership and provide English-language training for young Christians from behind the Iron Curtain. The length of the program has reduced dramatically in the last 20 years, from three months to ten days, but still serves many of the same countries. All the participants already had some mastery of English, and some involvement in ecumenical student movements. I was privileged to lead a small discussion group of advanced English speakers from Armenia, Georgia, Ukraine, and Finland during language training, and participate in the program the rest of the week. The other participants or staff came from Armenia, Bulgaria, Georgia, Germany, Finland, Ireland, Italy, Lithuania, Moldova, Poland, Romania, Slovakia, UK, Ukraine, and US. 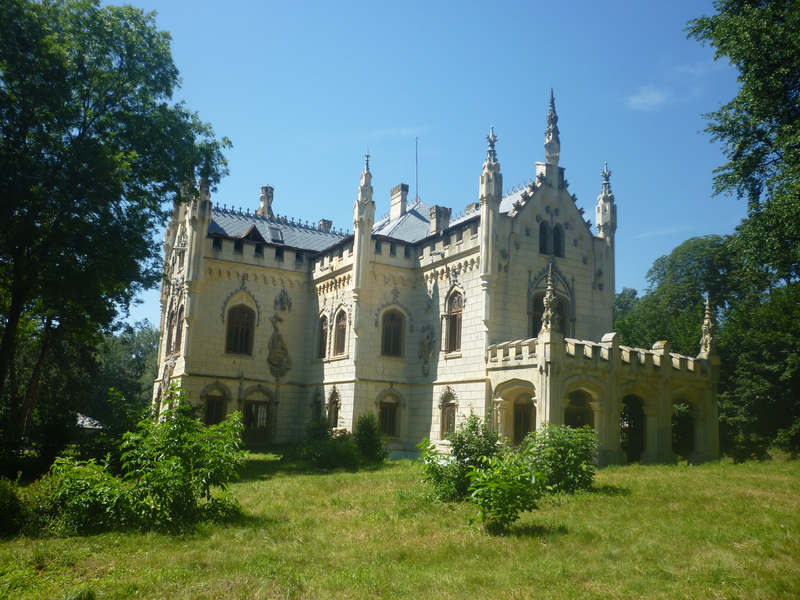 The setting is the almost surreal nineteenth century neo-gothic Sturdza Castle, near the village of Miclăuşeni. Built on the site of a fifteenth century manor estate, the castle once boasted a library of 60,000, including several rare first editions. Most of these were lost during the second world war, burned as fuel or stolen either by Nazi or Soviet soldiers. 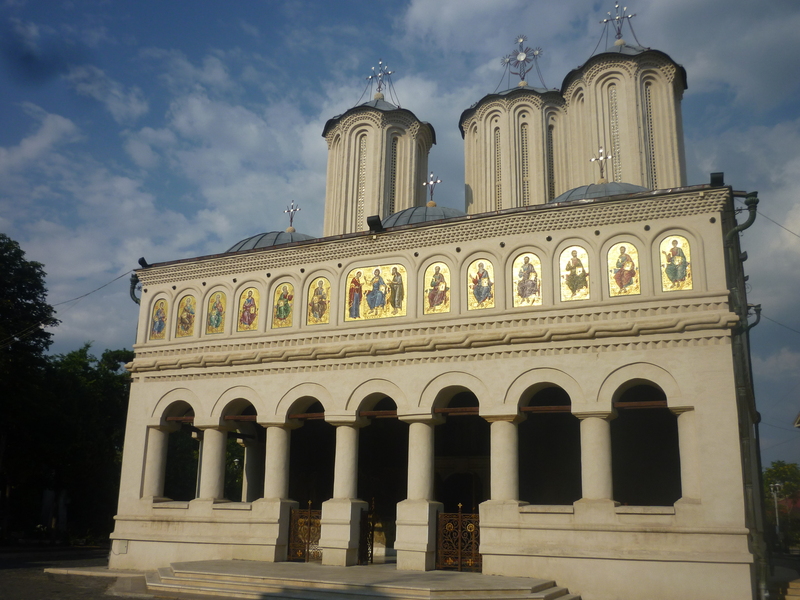 In 1947 the heiress donated the property to the Romanian Orthodox Metropolitanate of Iasi, and established a monastic community there. Only six years later, however, Communist authorities seized the land, and used the castle successively as a munitions depot, museum of military metallurgy, and hospital for children with severe mental disabilities. Villagers looted some of the original furniture, and other pieces were lost in two fires over the decades. As late as 2002, the place was still in complete disrepair. Recent work to restore it seems to have done a great job, but there is still a lot to be done – many of the original frescoes and decorations are so ruined, it seems more a question of renovation than restoration. A retreat center has been started, and the metropolitanate hopes to make a museum of part of the place. An iconography workshop already takes part of the space in the monastery complex, and the community of sisters numbers about forty. The educational piece was organized in cooperation with the metropolitanate, under the guidance of the vicar for education, Archimandtrate Hrisostom Radasanu, a graduate of the Orientale in Rome. An articulate and erudite young cleric, his presentation to the group was apparently his first ever teaching occasion in English, and it was nearly flawless. I imagine the ecumenical world will be hearing his name a lot more in the years and decades to come, and I look forward to it. Two familiar faces from a great youth conference I attended in Sarajevo three years ago (!) were there too: Pip, an implacably irenic North Irish Anglican PK, now father of a beautiful daughter himself, who brought no less than six bodhráin with him; and Paweł, the Polish editor-in-chief of the WSCF-E publication Mozaik, whose English is more British than most Englishmen I know. Catholic Cathedral of Mary, Queen of Heaven, in Iasi. Bishop Petru Gherghel’s motto is ‘ut unum sint’. I met a Georgian who could be a Republican from the Peach State, an inquisitive Ukrainian with a passion for learning, Romanian teens whose Byzantine chant was angelic, a fey Finn of Russian roots with a compelling story, and an awesome Armenian foursome. My new Slovak friend is the very image of a central European intellectual, with a cigarette in one hand and a book on existentialism in the other, slightly unkempt beard and untucked dress shirt completing the ensemble. A Bulgarian duo were inseparable, indefatigable, and inspiring. The German regional secretary proved a kindred ecumenical spirit. I could go on, and in more depth. I was impressed by the quality of each, and by the opportunity they had here. I had support from some key ecumenists in my years post-college around the US, but there was nothing like this for us to tap into, to network with ecumenists our own age. Europe may struggle with its Christian identity, but at least religion is still recognized as enough a part of culture that its diversity is something to be addressed, rather than ignored. Western Europe may be increasingly secular and unprepared to comfortably address religious questions, but there is a light in the East. For three weeks, I got to call the island of Athena home. St. Paul shipwrecked here. Phonecians, Greeks, Romans, Crusaders, Turks and more Greeks have called this island home before me. I spent the better part of July living in an apartment with a pool, two kilometers from the beach, with an agenda that primarily included visiting orthodox churches and historic sites while preparing my first university syllabus. Cyprus is an island divided, and I wonder if my Irish friends would find something familiar about it. On the southern side, Greek flags are abundant, but it took a couple days before I saw my first Cypriot flag. 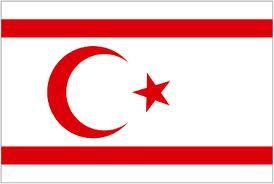 On the north side, the flag of Turkey is seen at least as often as that of Northern Cyprus. Most of the world (except Turkey) sees the northern part of the island as occupied territory, with a massive amount of Turkish military and settlers who arrived in response to an attempted coup (by Greek Cypriot nationalists) in 1974. About 200,000 people were displaced, both Turkish and Greek Cypriots, forcing ethnic Greeks to the south, and Turkish Cypriots to the north. The Republic of Cyprus (south) controls a little less than 60% of the island, while the Turkish Republic of Cyprus holds most of the rest. There is a UN buffer zone between, and a couple of British military reservations on the south side. Imagine the UK invaded the US in response to a crisis (say, an attempted coup by the western states, who wanted to unite with Canada), and left a garrison of 30 million British troops on American soil for the next forty years. Obviously, there’s a shared language, ethnicity, history, and origin… but British soldiers on American soil, numbering 10% of the population in the occupied area? Say, New England? How would that go over at home? Recently, however, relations seem to have relaxed a little, and some transit across the border is allowed. 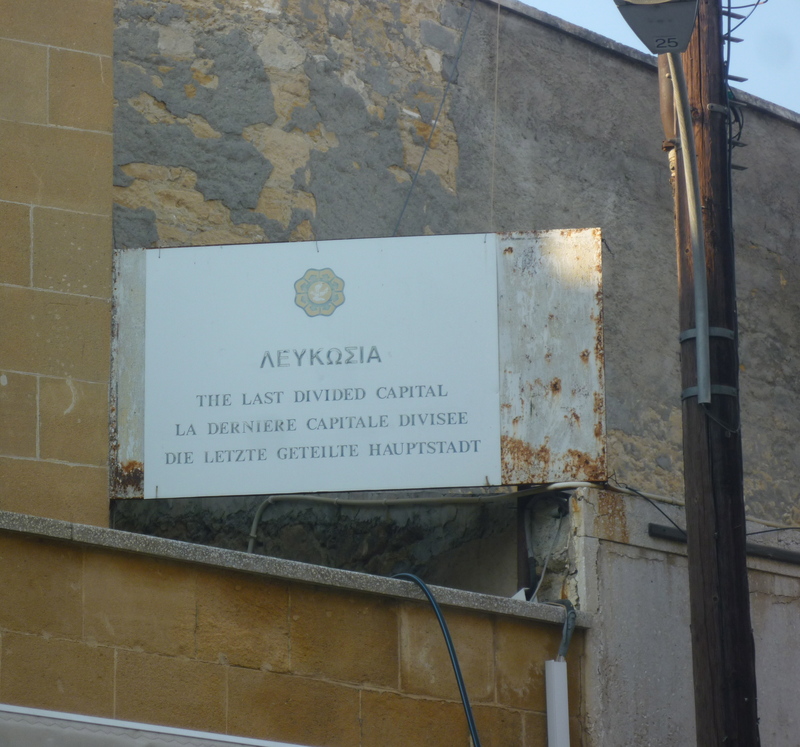 The capital city of Nicosia (Lefkosa) is divided, not unlike Berlin during the cold war, an image Cypriots of both sides used while I was there. While sipping lemonade in the Buyuk Han, an Ottoman-era inn and market, we got to meet one of the northern Cypriot politicians who was working toward reunification, reflecting a significant minority view, that, it seems, is growing with younger Cypriots there. 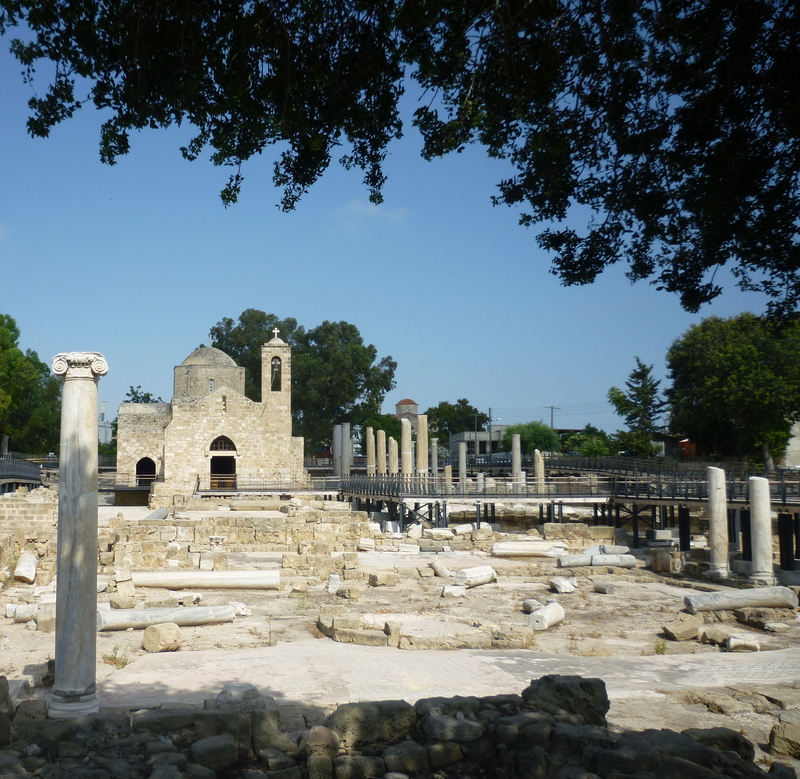 In the south, I spent most of my time near Paralimni, on the southeast corner of the island, with a couple days around Paphos, and a couple days around the local region, such as Agia Napa and Cave Grecko. With more experience of Byzantine orthodoxy from the Russians and other slavs, I was unprepared for the relatively casual approach to worship here: No heads covered, summer clothes (sundresses rather than beachwear, though) some impromptu recruiting of a very excited young acolyte, and observing the feast day by passing under the icon of the saint. 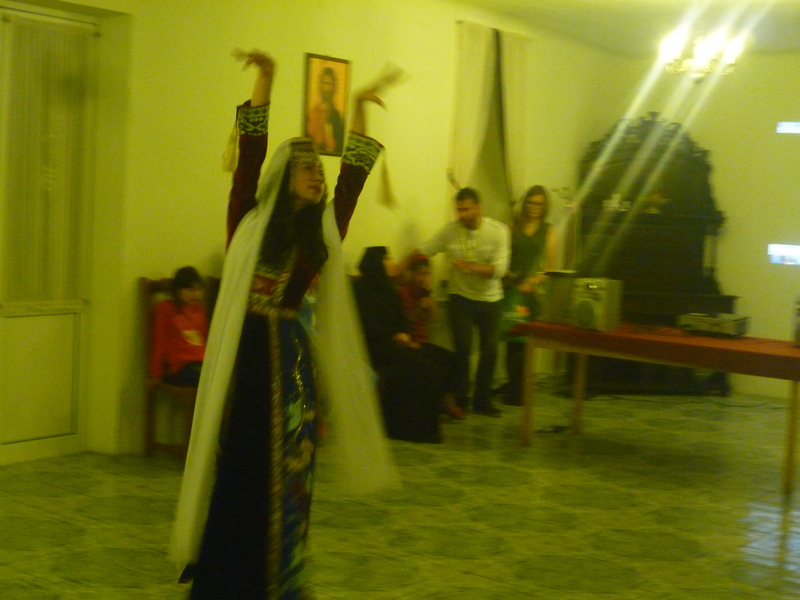 Antidiron (it seemed) and a mix of pomegranate, sesame, and almonds were distributed regularly after vespers. 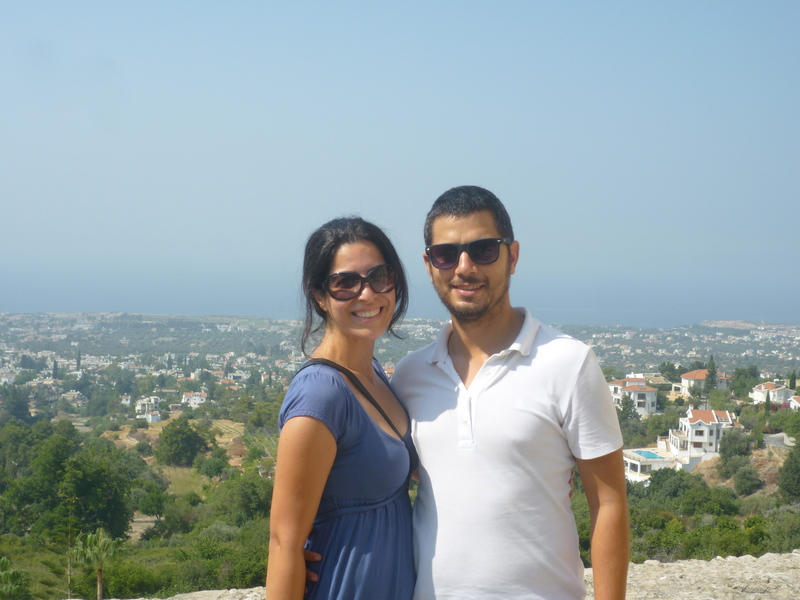 In the north, a local couple showed us around – a Turkish Cypriot high school teacher and his Turkish wife, both generous hosts, showed off a few choice sites. There’s an English village clinging to a cliffside called Karmi, where remnants from the British occupation settled and never left, even after the Turks took over. Bellapais abbey looks out over the port town of Kyrenia, and dates back to the 14th century. 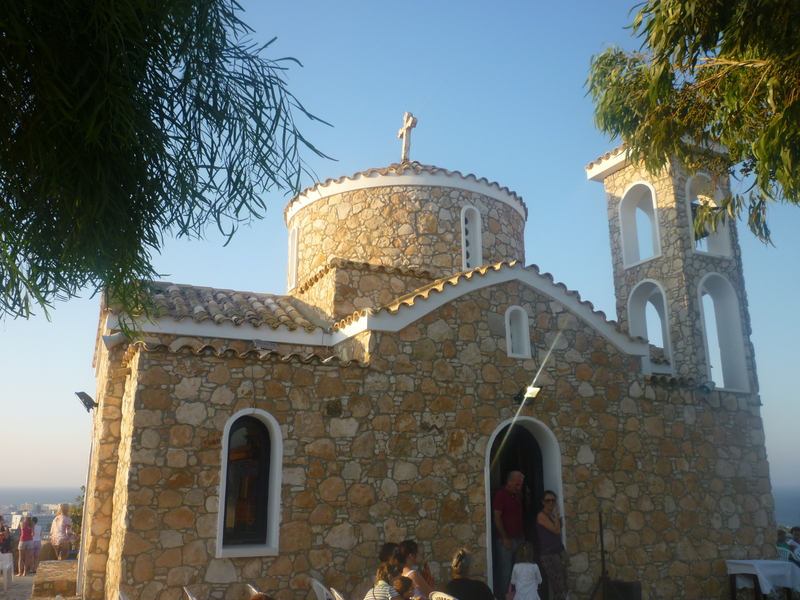 The last, we celebrated vespers on the hilltop church of the Prophet Elijiah, overlooking Protaras, on his feast day. 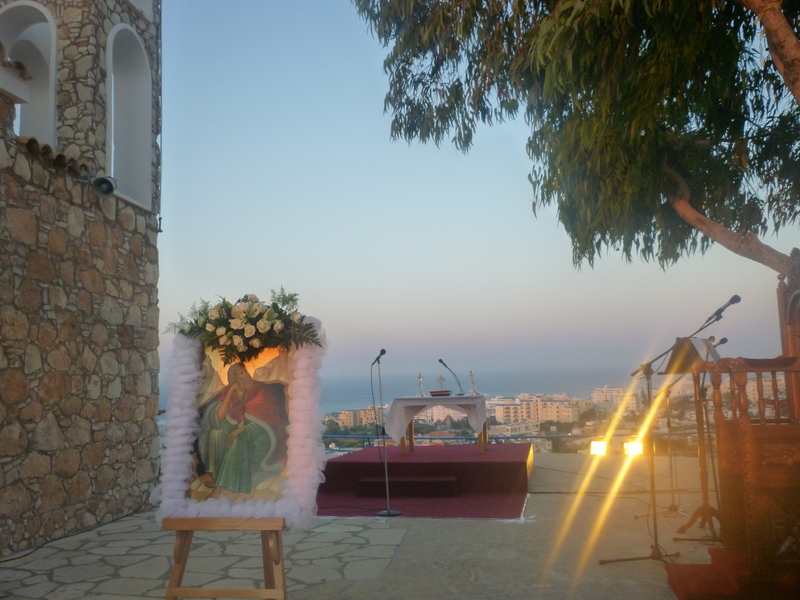 If I had planned it, I might not have made it in time, it just happened that my friend and I decided to climb the hill that day, at that hour, and found ourselves ready to get good seats and join in the liturgy honoring the prophet just after the sun set on my last day in Cyprus. The next morning, a few hours before I flew to Romania, air raid sirens sounded to commemorate the 39th anniversary of the Turkish invasion. Prior to that, most days were filled with church bells and/or the call of the muezzin, both of which fill me with prayerful peace. ROME (CNS) — In Eastern Christianity — among both Catholics and Orthodox — a dual vocation to marriage and priesthood are seen as a call “to love more” and to broaden the boundaries of what a priest considers to be his family, said Russian Catholic Father Lawrence Cross. Father Cross, a professor at the Australian Catholic University in Melbourne, was one of the speakers at the Chrysostom Seminar in Rome Nov. 13, a seminar focused on the history and present practice of married priests in the Eastern churches. Speakers at the Rome conference — sponsored by the Australian Catholic University and the Sheptytsky Institute of Eastern Christian Studies at St. Paul University in Ottawa — insisted the vocation of married priests in the Eastern churches cannot be understood apart from an understanding of the sacramental vocation of married couples. “Those who are called to the married priesthood are, in reality, called to a spiritual path that in the first place is characterized by a conjugal, family form of life,” he said, and priestly ordination builds on the vocation they have as married men. Father Cross and other speakers at the conference urged participants to understand the dignity of the vocation of marriage in the way Blessed John Paul II did: as a sacramental expression of God’s love and as a path to holiness made up of daily acts of self-giving and sacrifices made for the good of the other. If the church teaches — as it does — that marriage is more than a natural institution aimed at procreation because it is “a sign and continuation of God’s love in the world,” then the vocations of marriage and priesthood “have an internal harmony,” he said. Father Petra, who is a celibate priest, told the conference that in the last 30 or 40 years some theologians and researchers have been making a big push to “elaborate the idea that celibacy is the only way to fully configure oneself to Christ,” but such a position denies the tradition of married priests, configured to Christ, who have served the church since the time of the apostles. Father Thomas J. Loya, a Byzantine Catholic priest and member of the Tabor Life Institute in Chicago, told the conference it would be a betrayal of Eastern tradition and spirituality to support the married priesthood simply as a practical solution to a priest shortage or to try to expand the married priesthood without, at the same time, trying to strengthen Eastern monasticism, which traditionally was the source of the celibate clergy. He called for a renewed look at what the creation of human beings as male and female and their vocations says about God to the world. Father Peter Galadza of the Sheptytsky Institute told conference participants that the problem of “cafeteria Catholics” who pick and choose which church teachings they accept is found not just among Catholics who reject the authority of the church’s leaders; “those who believe they are faithful to the magisterium” also seem to pick and choose when it comes to the church’s official recognition of and respect for the Eastern tradition of married priests. “We know we are only 1 percent of the world’s Catholics, but Eastern Catholics have a right to be themselves,” he said. “As we celebrate the 50th anniversary of the opening of the Second Vatican Council, we hope the same Holy Spirit who guided the authors of its decrees would guide us in implementing them,” he said, referring specifically to Vatican II’s affirmation of the equality of the Latin and Eastern churches and its call that Eastern churches recover their traditions. “There has been a long history of confusing ‘Latin’ and ‘Catholic,'” he said, and that confusion has extended to an assumption that the Latin church’s general discipline of having celibate priests is better or holier than the Eastern tradition of having both married and celibate priests. The speakers unanimously called for the universal revocation of a 1929 Vatican directive that banned the ordination and ministry of married Eastern Catholic priests outside the traditional territories of their churches. The directive, still technically in force, generally is upheld only when requested by local Latin-rite bishops. It is not possible for the Lord to agonize over the unity of His disciples and for us to remain indifferent about the unity of all Christians. This would constitute criminal betrayal and transgression of His divine commandment.